I was in high school on a 56k modem when Hail to the Thief came out back in the day, so I wasn’t really able to follow the new songs develop on the live bootlegs. I did hear a killer version of “There There” which ruined the album version for me (I still don’t think it rocks hard enough), but aside from that, I was ready for HTTT with open ears. 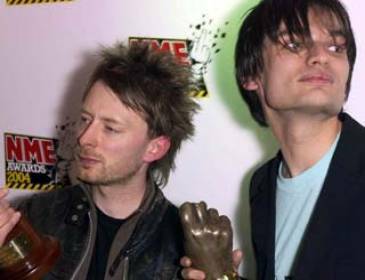 On the other hand, Radiohead reportedly are not releasing any music this year, which means if you see them on tour this summer(! ), you may as well start getting acquainted with the new stuff. Plus, aside from the bad recording quality of this bootleg from the 5.01.06 Thom and Johnny benefit performance at Koko, the new songs are incredible.